And my soul will never steer me wrong! I feel such a strong, yet gentle, energy as I write this. There is a peace I have rarely known, and it feels good. Maybe I am growing up. Or maybe I am just growing. All I do know is that life is not easy. But it is easier when you realize your own power and you listen to the guidance from your soul. Oh, and it helps a whole lot to have FAITH! And FEAR is FAITH in the WRONG THING! I wish you all to recognize the strength that lies deep inside you…to really honor your power…and to listen to your soul! Check it out…it was a great exchange. If you are not signed up for my Newsletter and you are interested, here is a link to sign up. 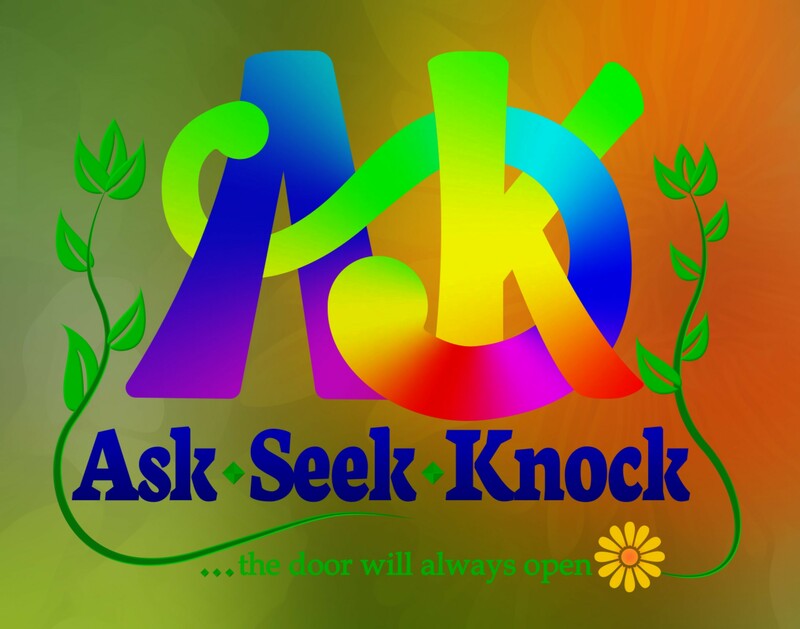 I will send the newsletter out once a month via email and it will have the latest QUESTION and ANSWER from Ask◇Seek◇Knock. And…if you have no idea what this is all about…here is a link to Ask◇Seek◇Knock! Good morning! Thanks so much for reading and leaving your footprint 🙂 Have a super day! Beautiful thoughts as I grow older, slip back and forth between those feelings of power and needing to remember to ask for help sometimes. Oh…for sure! Part of the power I think is knowing when it is time to ASK for help 🙂 And that appears to be the hardest thing for some people. Powerful and insightful post, Lorrie! Your comment on Faith is so pertinent to allowing our souls to thrive and find peace and joy! Hope you have a great week!! Thanks so much, Kirt 😁 And yes, I agree wholeheartedly…fear restricts your soul. I spent enough of my time hanging out in that energy. Lorrie, fear seems intent on making it a challenge to walk in oneself, eh? Your kindness and perseverance shine through. Yes! It sure does, Michael! I wonder how I even functioned buried under the weight of it. Thank you for your kind words. I truly am a work in progress. Sending lots of warm wishes your way! I am thrilled you are at last standing in your power Lorrie.. And yes each of us are continually growing. As we peel back the layers of time that have kept us held prisoner within or own locked emotions. Stepping out into our new found energy is indeed liberating.. So pleased you now find yourself in this wonderful place Lorrie..
Hi Sue 😁 Thank you so much! The journey is real, and although it has been very difficult at times I would not change a thing! You have been a blessing to me, shining your light to enhance the way, and I am so grateful, Sue! To be standing in my power and be able to honor it is such a wonderful experience. Here’s to life…BEAUTIFUL LIFE…and realizing we create It! Thanks, Sue 💛 Hope you had a great Monday and the rest of the week delights your soul! I love that you are sharing your journey of empowerment Lorrie because it will help others to stand in their power. It is interesting that we all fear our power yet it is what sets us free. Thanks for your wisdom. Hi Lisa! Yes! It does set us free, doesn’t It? Thanks so much for stopping by and for your kind words. I hope you are correct and that it does help someone. It is such a paradox, but so incredible when we find this key. This is a strong and powerful poem and post, Lorrie, the importance lies within a sentence of these strong words: “I am walking to the beat of my heart and soul” ~ this is just the type of attitude needed to create something special. Wishing you a great day ahead. Ah! Yes, how wonderful 😁 I am excited to create…ALWAYS! I look back at hard times in my life when my creativity was sleeping…and I don’t know how I survived…not the hard times, but rather the times I didn’t create!! Thanks for seeing this…and sharing 💜 Hope the rest of your week is lovely. 😁 Thank you, Tiny! I appreciate your kind words. I will share more of my “Zentangle-esque” art. I find it very strange that for someone who loves color so much, I do black and white art! Go figure! Now I figure out what to do with it 😉! I love this title and message. Fear is having faith in the wrong thing. Yep, I’ve been there and can always use a reminder to put my faith in God, the Universe, and my own power, too. It’s exciting to know we can get better at this and mostly avoid the barbs that get stuck in our feet. May you walk in warm sand and energizing waves. Ah! 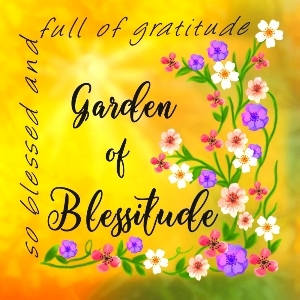 Yes, Joanna 😁 Thank you _/\_ THAT is my favorite place to walk…and I am Blessitude because It is available to me! In my experience, there is nothing that a beach walk can’t make better! ❤ I hope your weekend is wonderful! I am in deep exploration of what this all means, and will have a follow-up post tomorrow. Wishing you connection with your power…and a really fantastic weekend!